Please use this form to register your interest in works by this artist. Tina Stokes was born in the West Midlands in 1964. Studied at Walsall College of art and Exeter BA Hons Fine Art. She has been painting and drawing for as long as she can remember. With much encouragement as a young child, she leads into a natural progression of Art College. She set up a studio on the edge of the Exe Estuary in Lympstone, this now being the inspiration for much of her work for many years. Each day holds a new adventure and a sense of excitement. The dorbs of paint that sit upon her pallet are quickly mixed to create the unique, ever changing atmosphere that lies beyond my window. Tina exhibits regularly at The Mall Galleries with the society of women artists being awarded the Society of Artists and Vice President Choice Award and the Winsor and Newton Award. 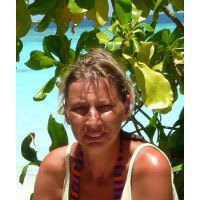 Tina is a member of the Society Women Artists and of the Marine Artists. Her paintings are hung in private collections such as HRM Princess Michael of Kent and Palace of Westminster.